Streamline the retail checkout process for your employees and customers. Copper is a point of sale (POS) computer software which provides a business with a cash register system. 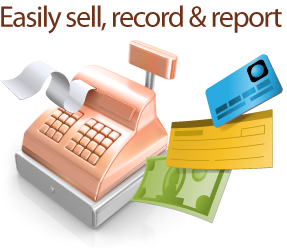 Use this cash register software to store product information and speed up the checkout process for your customers. Copper point of sale software is easy to navigate, and is compatible with touch screen terminals and barcode scanners, helping save time when ringing up sales and preventing cashier errors. Get it Free. 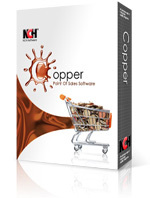 A free version of Copper point of sale software is available for non-commercial use. If you will be using Copper at home you can download the free version here. Accept cash, checks, credit cards or even multiple payment types on any transaction. Store coupons and promotions can be easily applied to individual items or entire purchases. Customize your receipts and print on either a regular page or on receipt roll paper. Process refunds and print updated receipts in just a few steps.